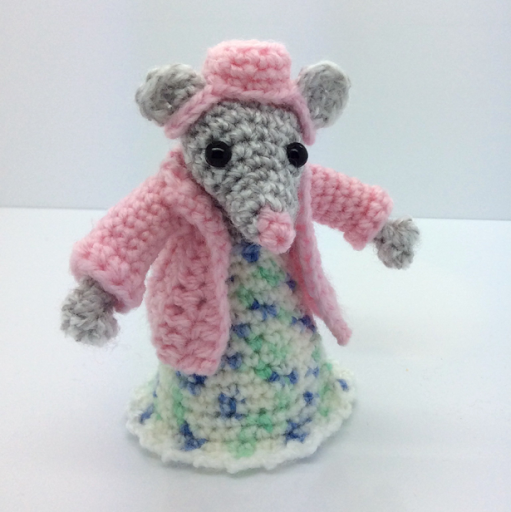 This is the pattern for the cardigan and bonnet that fits Lily the Mouse. To go to the main Lily the Mouse pattern click here. 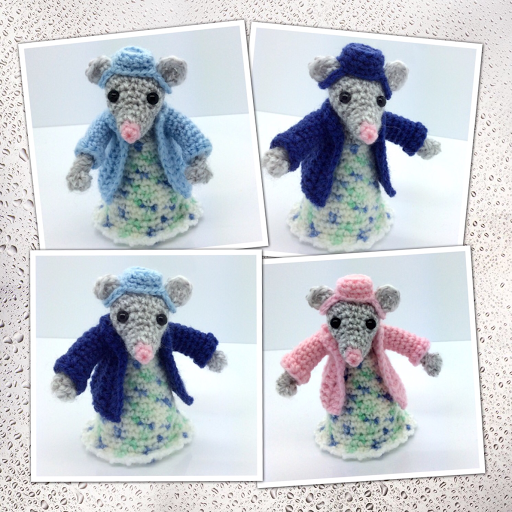 The cardigan and bonnet are crocheted using the same yarn and the same size hook as for the mouse. Turn the cardigan with the right side up and both armholes on the left-hand side (see photo). 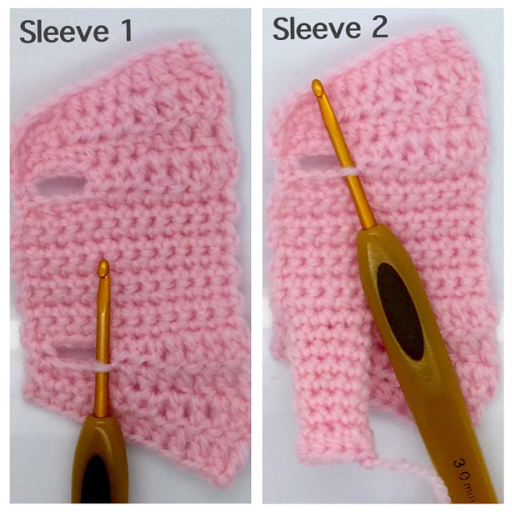 Attach yarn in the first st of the armhole (see photo). R5: ch 9, sc in next 6, ch 9, sc in next 6, sl st into first chain.